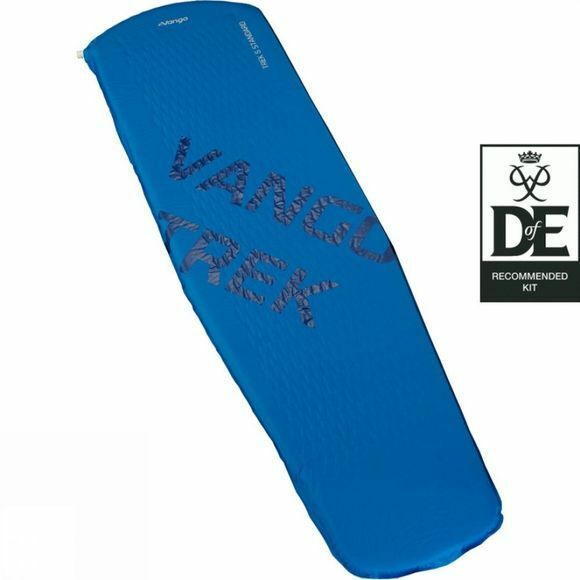 The Trek Standard 5 Sleeping Mat is the perfect choice when durability, strength and affordability are paramount. Non-slip print prevents the sleeping bag from slipping off during use, conveniently positioned under high contact areas. The Fast-Flow valve is quick and simple with a push-button operation which locks securely, while diamond cut 3D foam reduces weight, but maintains comfort and insulation. The small pack size and light weight are ideal features when you need to carry your bed on your back.